These days, it seems like almost everyone has a blog. Authors have them, businesses have them, celebrities have them, but what about kids? Increasing numbers of elementary age children are getting into blogging, primarily with the encouragement and assistance of their teachers. These educators have seen the academic and social benefits of blogging with their young students. Not all blogging needs to be a classroom activity, though. If your child needs a little creative boost to their writing practice, starting a blog might be just the ticket. Children, like adults, are highly motivated by the idea of meaningful work. When the purpose of writing is to have it graded by a teacher and then never seen again, it can be difficult to see what the purpose of such an activity might be. Blogging, however, provides something unique: an audience. Spelling and grammar, then, are not chores, but a chance to communicate more clearly. Creative expression is not an abstract concept, but a concrete reality aimed at real human beings. And blogging is empowering, admitting children into the community of writers, regardless of their age. How to get children blogging. Set up your online space. Starting a blog is simple these days. WordPress, Blogger, and Edublogs are three free options for getting started. All three offer step-by-step instructions for getting set up. You can do this part yourself or together with your child. You’ll want to think of a name in advance and agree on a password that you can both remember. This way you can quickly manage settings and take down any problematic material if it becomes necessary. – Avoiding personally identifying information, including things like full names, addresses, and phone numbers. – Getting permission before posting photos or videos of others. Brainstorm together. What would your child like to write about? Sometimes being faced with infinite options can be paralyzing. Come up with a few ideas for getting started. Start writing and publishing! Encouraging friends and family to read the blog on a regular basis and leave comments can be incredibly motivating. Some prompts to inspire young writers. What is the story of how you got interested in your hobby? How did you get started? What are your plans for the future? Write a review of a book, movie, or song you love. Write a Top 10 list and explain your answers. Top 10 foods, bands, Halloween costumes, television shows, athletes, dog breeds, superheroes, or anything else. 10 is too difficult? Start with a Top 5, or Top 3. Fanfiction, or writing an original story using already-established fictional characters, is a popular activity in the blogging world. If your child is already making up stories about going to Hogwarts or flying off with the Avengers, this is the perfect opportunity to put these stories down in writing. Reflections on current events. This could range from a retelling of a field trip to thinking about the impact of a crisis reported in the news. As children grow, they’re increasingly impacted by the events around them, and a blog provides space for them to share their thoughts on the matter. Blog posts can be short. They can be casual. They can contain errors. And all of this is okay. The more excited children get about writing, the more practice they will get. Leave the grading and corrections for school assignments. 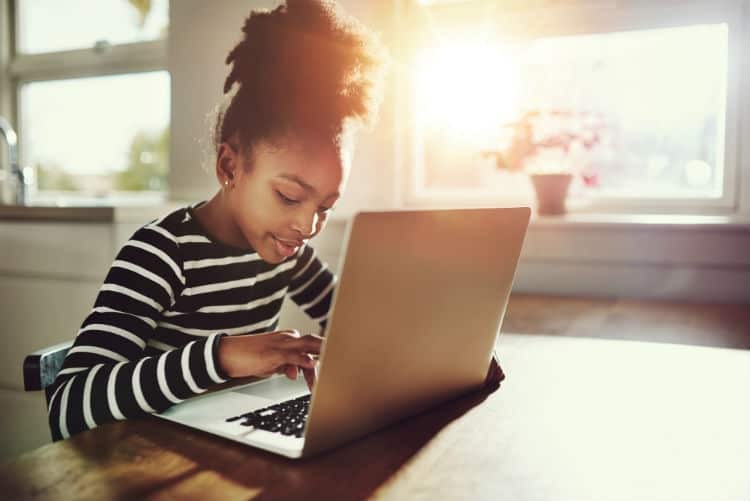 Teachers who blog with their students often find that children naturally begin to practice many of the Common Core standards for writing as they gain confidence with expressing their opinions and explaining topics with which they’re familiar. If your child’s struggles with writing and reading don’t seem to improve at all with practice over time, it may be time to seek out additional help. At Read Smart, we work with children by meeting them where they are, and develop those critical literacy skills in an environment that is supportive and non-judgmental. Not sure what kind of assistance is right for your child? No problem. Contact us to schedule your free assessment today.